PBS Food’s Sandwich Madness put me in the mood for a sandwich recipe, so today I wanted to share with you guys one of my very favorites…made up of very unlikely ingredients! 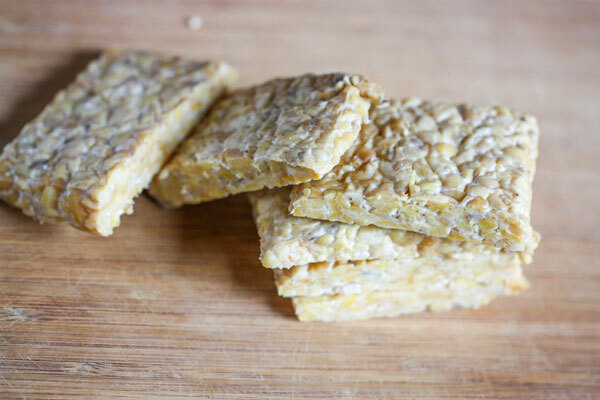 Perhaps you’ve seen tempeh in the produce section of your local grocery store, or maybe you’ve even tried it! It’s made from partially cooked and fermented soybeans, and has a higher protein and fiber content than tofu. In fact, tempeh might even be considered healthier than tofu, as it’s less processed. However, the downside to tempeh can be, for some, it’s acquired taste. I’d describe it as being a bit on the nutty side and can also be slightly bitter. Usually, people either love tempeh or they hate it. 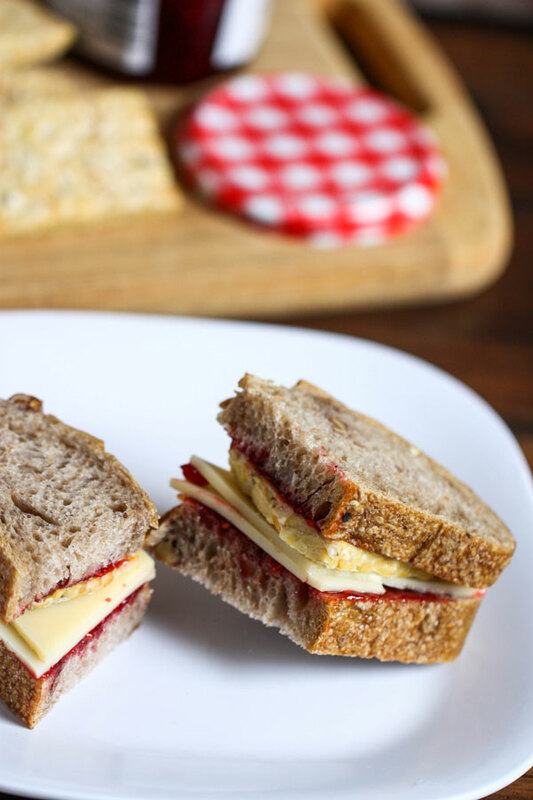 Now, you might think I’m a bit crazy, but I’ve found that the tastiest way to eat tempeh is in a hearty sandwich with Swiss cheese and raspberry jam. Sounds totally bizarre, but the combination works—I promise you! 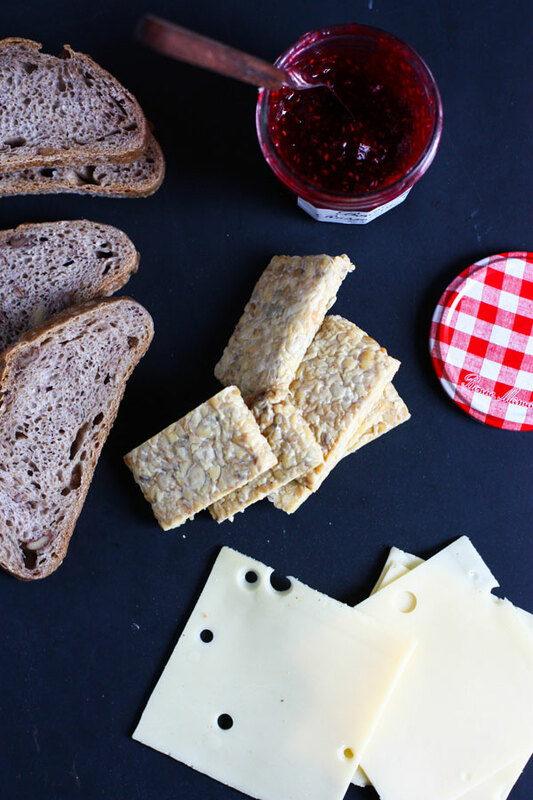 The raspberry jam lends that bit of sweetness that cuts down on the bitter bite of the tempeh, and the Swiss cheese pulls everything together with a mellow flavor. Try it! I think you might surprise yourself.